Protection and proper nutrition are on the top of chicken keepers everywhere “TO DO” list. It doesn’t matter if you just started getting interested in the whole thing. Furthermore, it’s highly recommended to pay attention to making a safe home for your chickens to grow in. Predators lurk around their prey through the day, not only at night. Caring for your flock includes building a safe place for the chickens to spend the night in, chicken coops usually built with wood and mesh. Cats, dogs, small wild animals such as raccoons can be harmful if they enter your flock’s grounds. Chicken fences are usually made with wires and if a predator enters inside, the chickens panic and can get hurt easily or worse. People lose entire flocks this way, so it’s important to build a fence to keep your chickens safer. 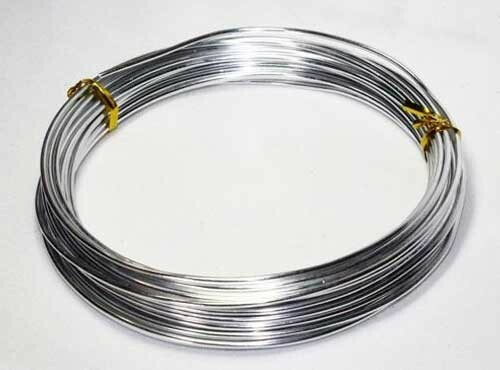 A heavy-duty galvanized fence wire or aluminum wire. Step – in fence posts. Start with spreading the wires around the chicken run you have planned. First place the corner fence posts ( they should be bigger than the step – in posts in between them ). When you start connecting the wire to the step-in posts attach the electric fence insulators where the wire touches the post. Apply insulators on each place the wire gets in contact to. To get the power running through the fence it’s best to use AC – powered unit. Preferably continuous AC output with Input Voltage: 110-120 VAC, 50-60 Hz, 10 W, and Output Voltage: 980 VAC +/- 20% with open circuit voltage. For the best and safest results install the power unit inside a shed or some safe and dry place outside the reach of the chickens. This voltage is enough to zap an animal into sense but not kill them. 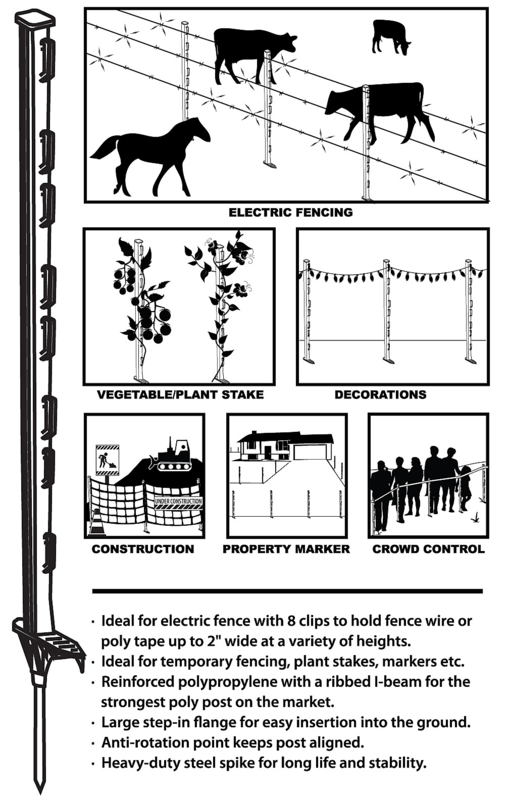 Grounding your electric wire fence properly is important to avoid further issues. Place galvanized steel posts deep into the ground at least 1,5 meters with 3 meters spacing between each other. Use 3 posts to complete the earthing properly. 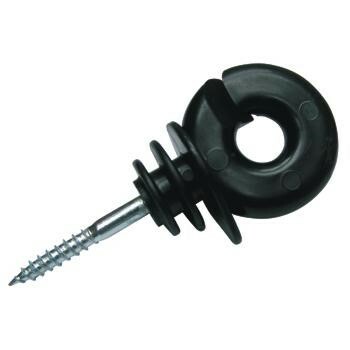 After digging them into the soil, connect them with galvanized screws to each other and the earth terminal on your AC – powered unit. For the best results, place these steel posts at least 10m away from your house. And as close as possible to the chicken wire fence. Make sure you don’t forget to feed your flock regularly so they won’t be tempted to escape also don’t place your hen next to the edge of your fenced area, they won’t go very far to explore if they have what they need inside. People don’t have enough faith in such simple fencing. In addition, they assume that is not as efficient as deer netting, but they are wrong. This type of fence is the best choice if you have a chicken run for your flock or need fencing that can be easily removed and reinstalled. Imagine how easy it is just to pull out the posts lay them on the ground and drive your tractor over them. You only need to put it back and that’s it. The trick in this wire fencing is in the one lower wire placed only a few centimeters of the ground. That way it is high enough not to be shortened by grass movement. Furthermore. it is low enough to zap any predator that pokes their nose to smell that tasty chicken you keep. And that’s what it takes for them to scatter off. 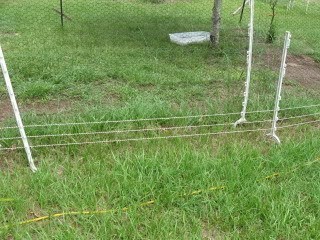 Make sure the wire has equal height on the whole perimeter, as ground terrain can be uneven. This will stop your chickens from sneaking out. And put up a sign, you surely don’t want angry neighbors. 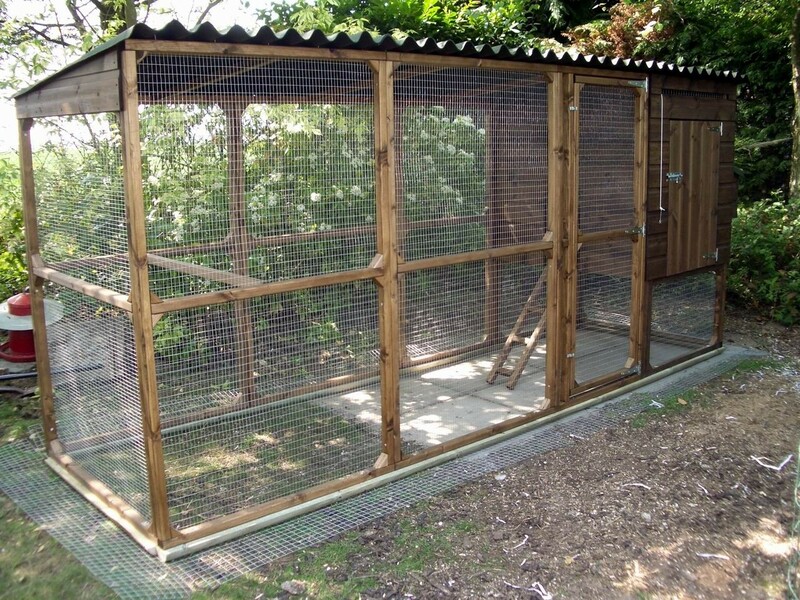 Previous Article How To Build Your Own Chicken Brooder!